I’ll cut to the chase start this the same way I started my Stardust reaction. I was psyched for this. I love Ryan Reynolds. I love Samuel L. I love a good action comedy. This was not a good action comedy. 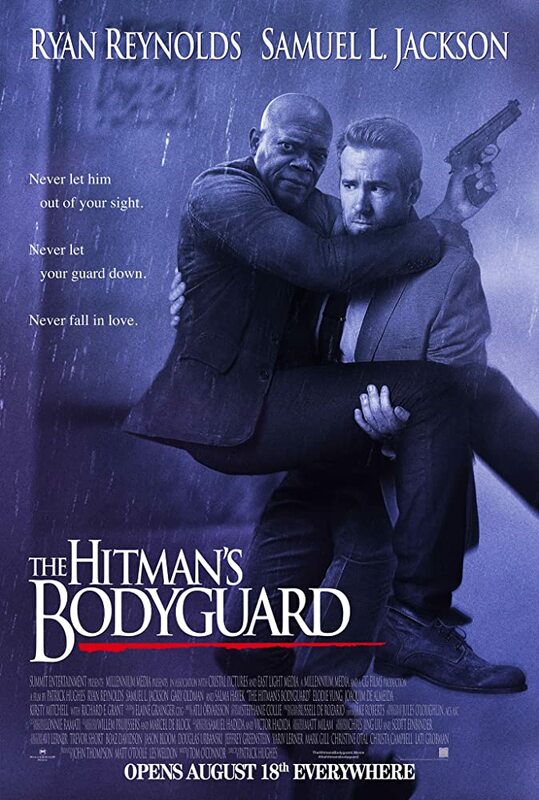 Ryan Reynolds is a bodyguard who is struggling to get his career back on track after a high profile job goes sideways. Samuel J Jackson is a hitman who is expected to give witness testimony at a big shot bad guy’s trial. None of the other witnesses have survived to take the stand. So maybe if these two guys work together, he can get there in one piece? It kills me to say so, but this is one of the absolute laziest movies in recent memory. To start, the plot was slow and predictable and oh so very thin. You can kinda get away with that in an action comedy if the action and the comedy are good, but they weren’t. The action was nothing new, nothing that impressed me. The comedy (or lack thereof) was the biggest letdown. It felt as though everyone was relying on our leads to bring the funny, but you need a good script to play off of. It also didn’t help that Reynolds’ character was rather uptight, so you could sense him holding back. I get that he’s trying not to be Deadpool every time he’s on screen, but let’s be real, that humor is what we were all hoping for.